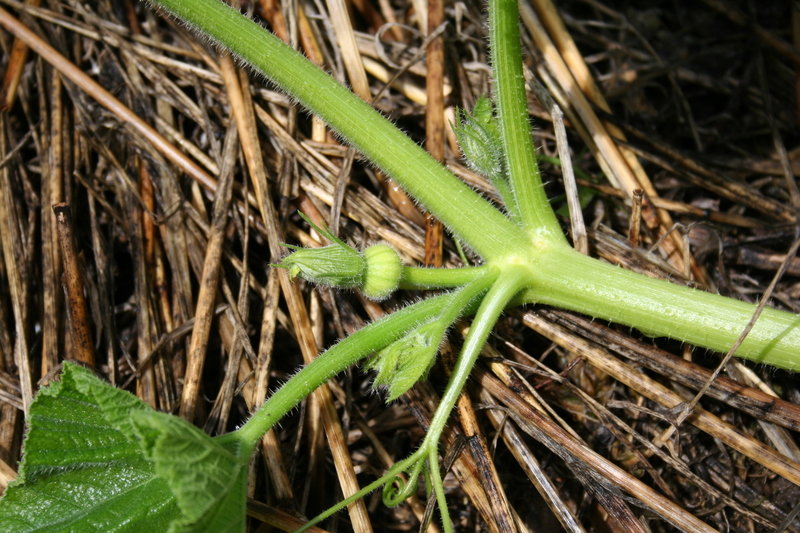 A tiny pumpkin begins to form at the end of the blossom. This summer is flying by so fast…. It’s hard to believe that we are almost to the Fourth of July! It seems like not so long ago we were picking out seeds and transplanting little pumpkins. The patch is growing fast with vines reaching in every direction! It is truly amazing to compare pictures of the patch from just a couple weeks ago! 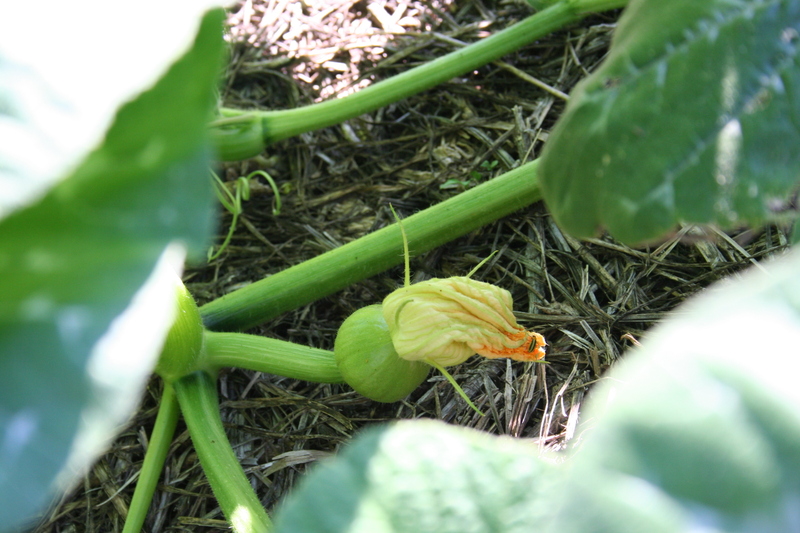 We were pleasantly surprised to see small pumpkins this weekend beginning to form at on some of the older vines. It makes me excited because just around the corner we will be picking them to share with you!